Are you, or people close to you, continuously looking for ways to learn more about yourself and to improve your effectiveness in all areas of your life? Give yourself a unique opportunity to do so by attending this valuable three day workshop where you will be able to carry out extensive personal reflection (looking "inwards") in a safe, supportive environment, with no external factors influencing you or distracting you from the objectives you set out to achieve. Why wait for some life-changing event to happen to you to shake you up and "tell" you that you need to effect changes in your life when can you take action and reap the benefits for yourself now? 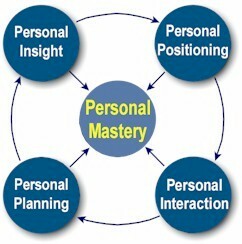 Personal Leadership is about proactive personal "management". It's about developing and adopting a personal vision for yourself that you are truly committed to in order to maximize your true potential . In the words of Deepak Chopra: "You believe that you live in the world, when in fact the world lives within you." There is so much potential at your fingertips and it is up to you to find that within yourself and to decide how you are going to use it – nobody else can do that for you. If you have been fortunate to have attended a similar workshop, this might be the perfect opportunity for your spouse or partner to gain insight into their own lives. An opportunity to challenge our mindsets beyond our current level of thinking. Accepting responsibility for own life, what has to be achieved and how to live it. Willing to acknowledge personal strengths and weaknesses. Being mindful of choices made. Willing to confront oneself with care. Recognizing and acknowledging own emotions. Recognizing that “true” powers is internally referenced. Know yourself, choose yourself, give yourself. Acknowledging the behaviour(s) and emotion(s) of others and having an awareness of the impact on oneself. Being aware of the impact of ones own emotions and behaviours on others. Being mindful of the use of positional/external power. . Know yourself, choose yourself, give yourself. Having a clear personal vision. Setting personal goals for development and changes needed in own life. Being aware of the need for action. Know yourself, choose yourself, give yourself. Using appropriate interactive skills to identify, address, and resolve difficult situations which involve differing needs and interests of the parties. Reducing the potential for conflict by using acceptable behaviour and focusing on the needs and interests of all parties. How to influence others from a “non-authority” position. Getting along with others, pro-actively developing rapport with them and practicing collaborative problem solving. Developing cooperative relationships. Applying the Core Interactive Skills and Process.